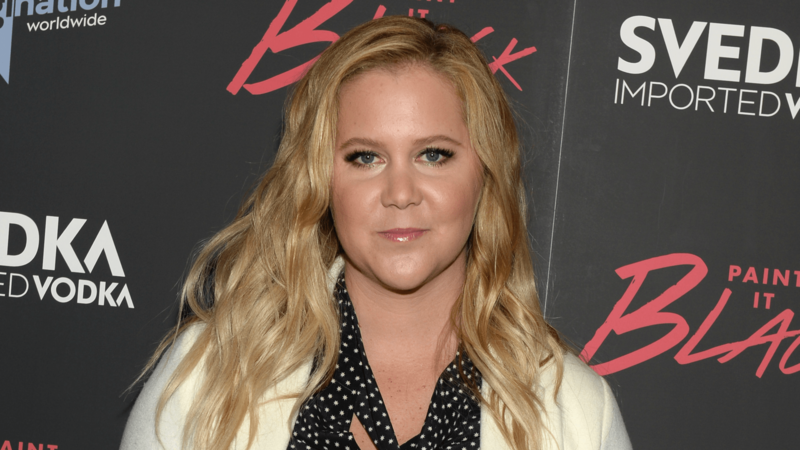 Is Amy Schumer about to get her happy ending? Six months after ending her relationship with her longtime love Ben Hanisch, Schumer is reportedly seeing someone new: chef Chris Fischer. Just Jared reports Fischer is the brother of Schumer’s personal assistant, so that’s likely how they met. He’s also a pretty well-known chef in New York City, and he’s authored his own cookbook. But other than that, we don’t know too much about him; he’s certainly not a celebrity of Schumer’s visibility, so he remains a little bit of a mystery for now. What we do know is that he and Schumer were spotted looking very cozy on a dinner date in New York City and that he’s tall, dark and handsome. Schumer hasn’t gone public with the relationship, but they didn’t appear to be trying to hide their romance either. Schumer has kept a pretty low profile since she and Hanisch split back in May, vowing to “remain friends.” That appears to have been the case; in September, Schumer posted a photo to Instagram thanking Hanisch, a furniture designer, for her new patio set, which he presumably either designed or gave to her. Here’s hoping now that the word is out, Schumer and her new man go way more public, because we need to know more about him, ASAP.